Eapl Sri Sai Icon is a project located on Sarjapur Road. Eapl Sri Sai Icon is currently up for possession for all the eager buyers out there. Sri Sai Icon, the five storied modern age edifice is a picture perfect amalgamation of style and function, with just 20 apartments on each floor. The base selling price of a unit here is Rs 3299 / Sqft. At Eapl Sri Sai Icon one can expect superior work quality and innovative architecture. Eapl Sri Sai Icon is one of a kind of project spread over a single acre of land. 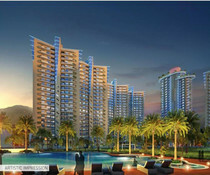 A total of 6 variants 3BHK units are on offer ranging from 46L – 56.7L. The carpet area of the 3BHK units varies from 1395 Sqft – 1746 Sqft. 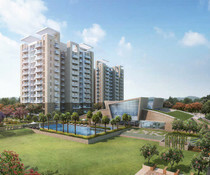 A single variant of 2 BHK unit is also available sprawling an area of 1107 Sqft. The price tag for such a unit is 36.5L. Eapl Sri Sai Icon has a very practical list of amenities to cater to the life of the potential buyers - security, power backup, rainwater harvesting, swimming pool, clubhouse, intercom, Wi-Fi, gym, tennis court, indoor games. Eapl Sri Sai Icon is located at a highly strategically important point in this megacity. Located in Bellandur, East Bangalore is close to many IT companies. Bangalore City Railway Station is the nearest railway junction. While the Bangalore International Airport is also nearby.